Nowadays the demand of beauty is increasing very fast, and hair is considered as an important part of it. We know it and we come from MCSARA-one of the leading companies in Vietnam in exporting virgin hair to customers all over the world. One product that can win requests of many customers is 30 inches weave hair extensions. And the reason is that it is very long, smooth and glossy. 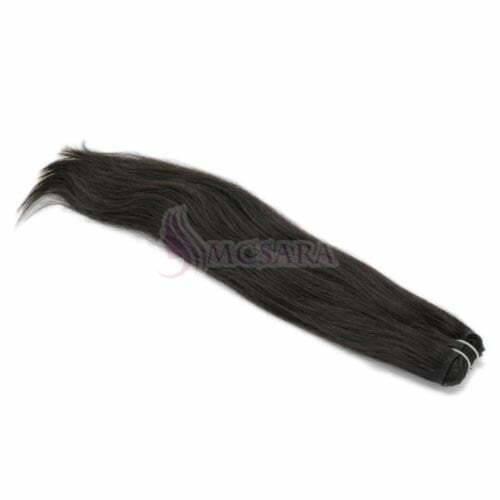 In our stock, 30 inches weave hair is like a queen of all the hair in term of length. As you can see at the first sight, it is 28 inches in length. 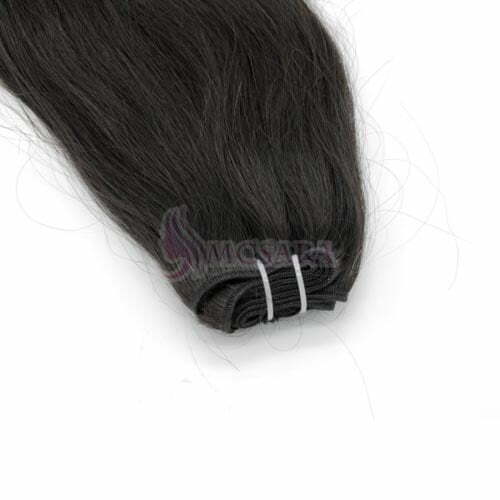 The feature that helps us recognize it is that all of the hair is weft together in only one line, so it has another name as machine weft hair. Being though the careful cleaning process, 30 inches weave hair lets no chance for dirt, insects to get in. softy, fluent is the special features make 30 inches weave hair more outstanding than other products. Thanks to design of cuticle that is so real and all strands are in arranged in the pretty same way. Here are some hair standards that provide you with the best view of this product. Single drawn hair type 1: the most basic hair with both long and short strands in the same bundle. Single drawn hair type 2: It is also a mixture of short and long strands, but it is considered as a higher level than type 1. Double drawn hair: the majority of strands are long, so we can see it thicker and longer. But it still has a little bit short strands. Super double drawn hair: we can call it as the best hair ever both in length and thickness. Next is about textures and colors. We have many textures here which can fill your requirement. Curly hair: deep curly, fumi curly, romantic curly, twist curly…. Of course, color is unforgettable element when we choose a suitable hair for you. Choose the right color will not only make you confident but also make you pleased whenever you walk out of your door. Here are some suggestions of colors. Mix colors: Ombre, piano color, highlight color…. As you know that Vietnamese women always own the beautiful and shiny black hair, so you can totally believe that our product is 100% natural hair from Vietnamese women hair. And what makes many international customers love to use Vietnamese hair is that it is so long, naturally black and dense. We always keep the straight hair and natural wavy hair unprocessed so that it would cause no harms to customer. With curly hair and wavy hair, we curled, kinked them the make many fantastic style, then we put it into hot stream to maintain their shape. We suggest some ways to help you keep your hair extension with long life span. Be gentle and careful when you apply it. You should make a horizontal line in the back of your head, then let the hair on the top of your head and cover it. And the last task is enjoying your amazing new hair style.